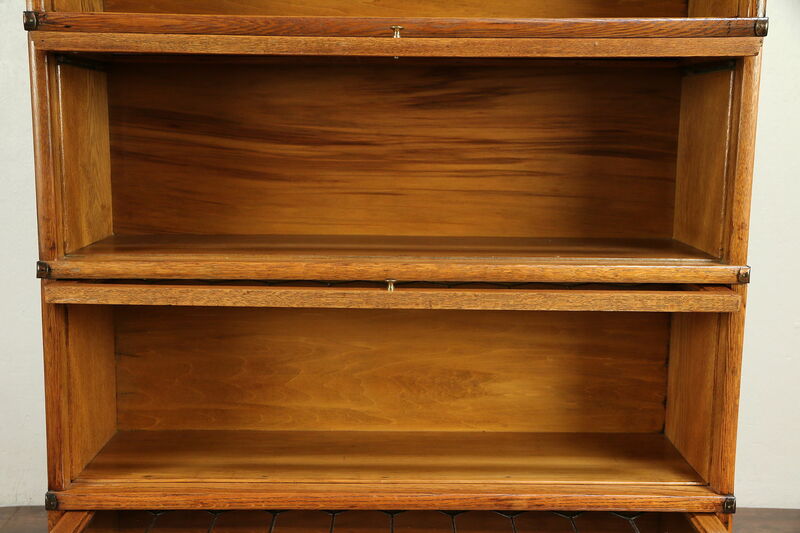 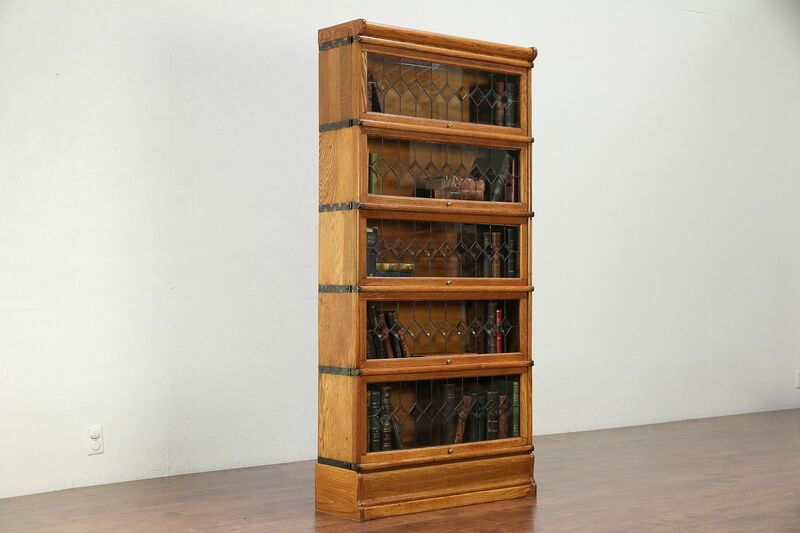 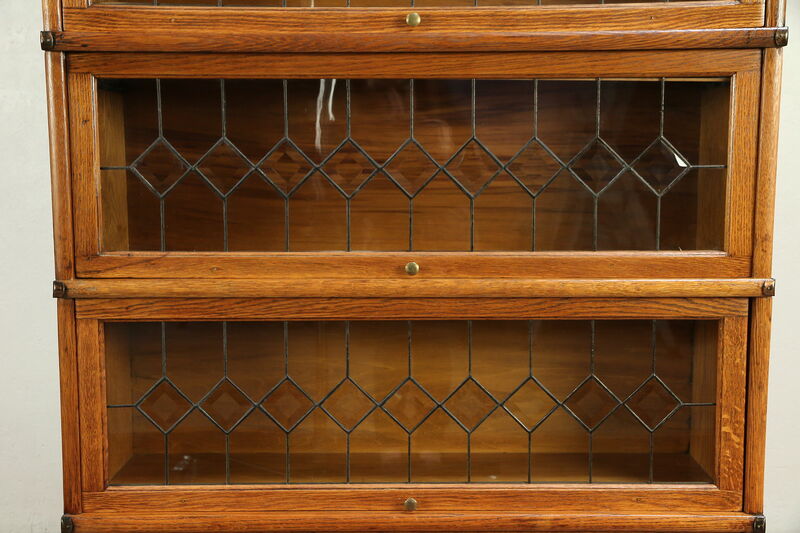 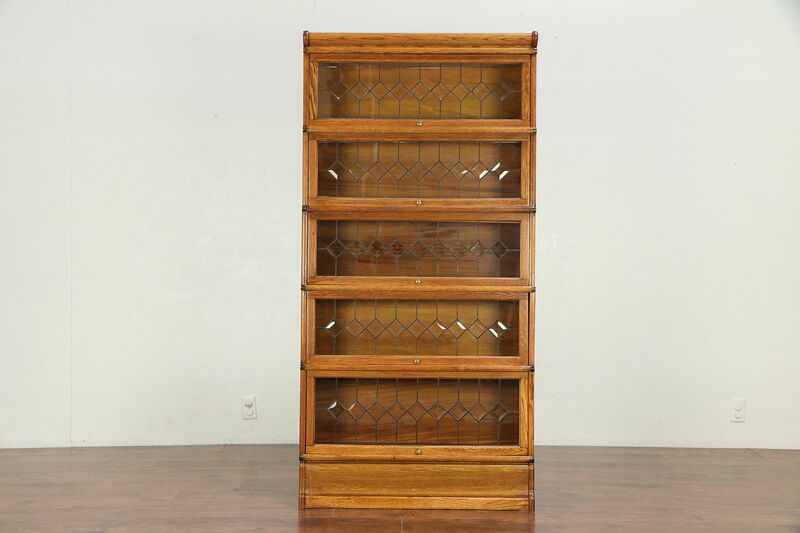 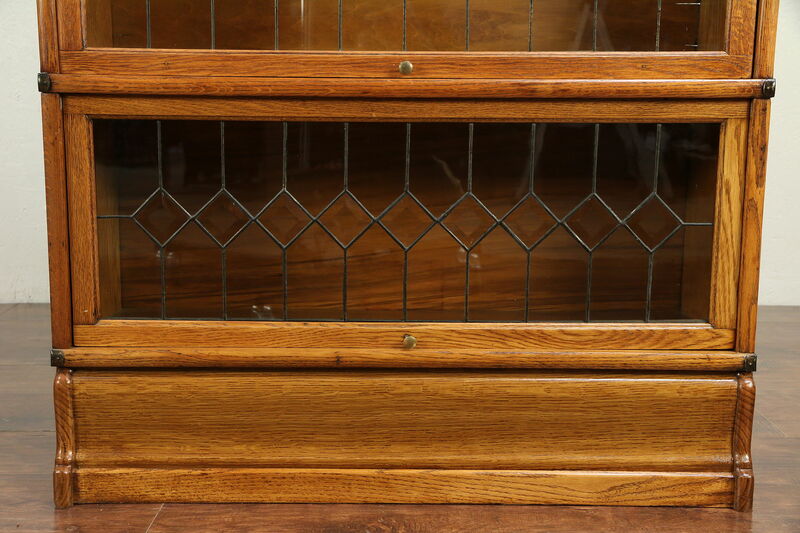 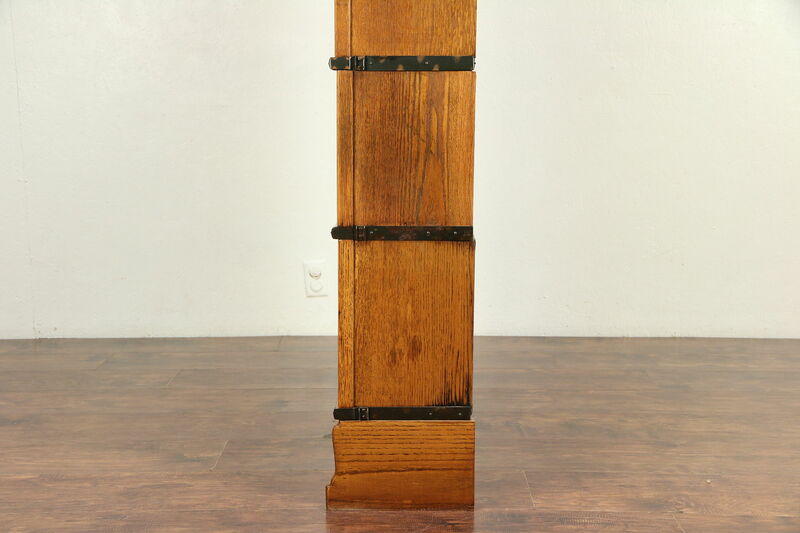 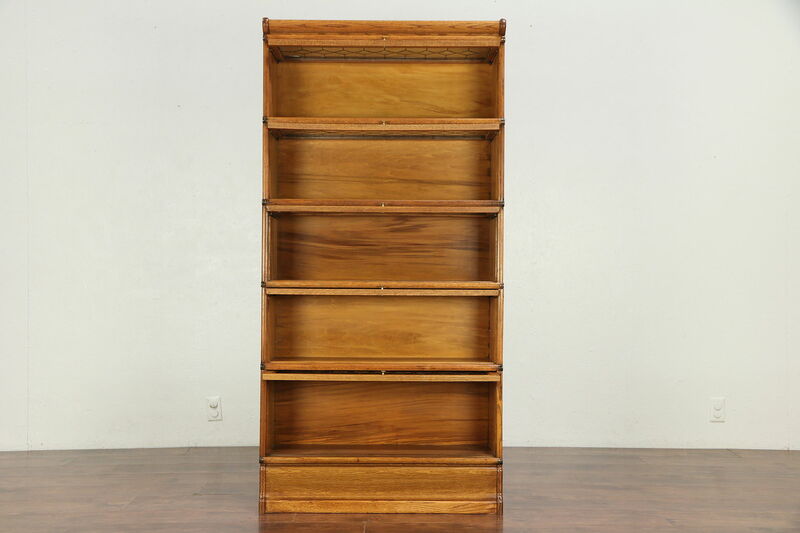 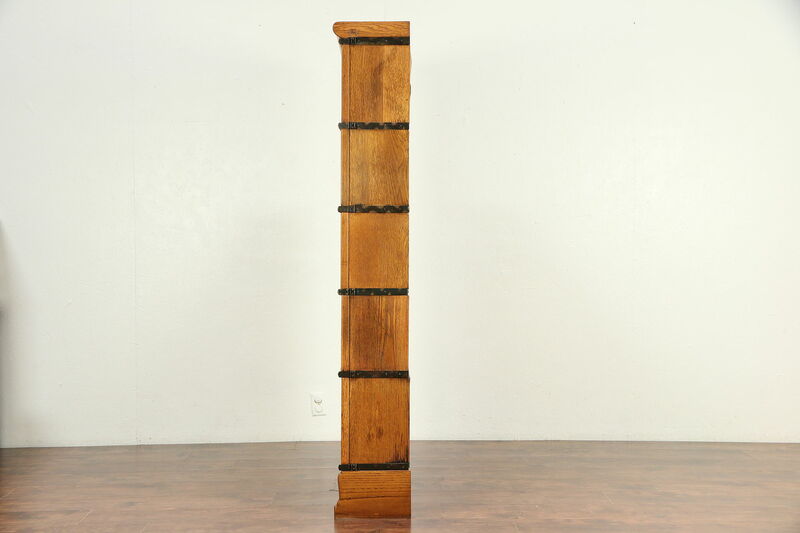 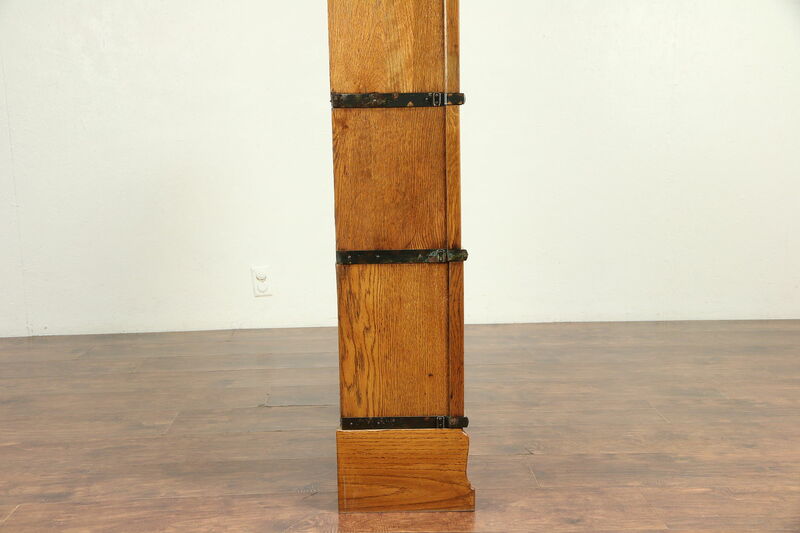 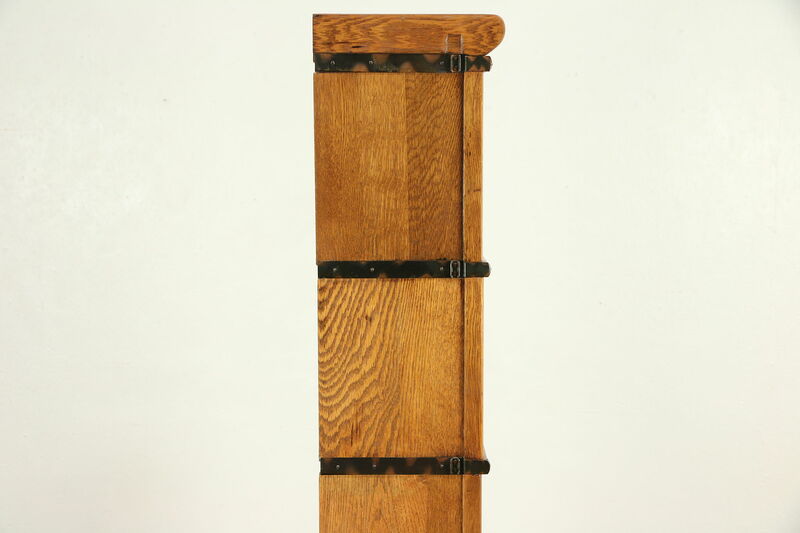 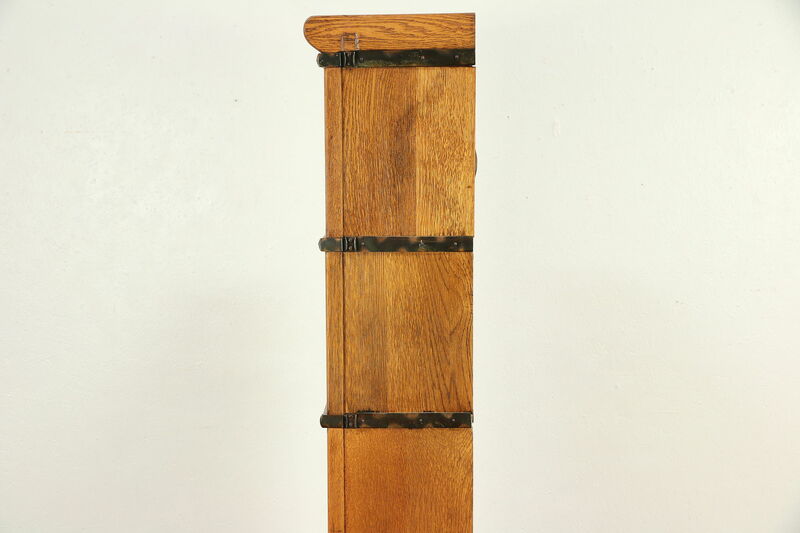 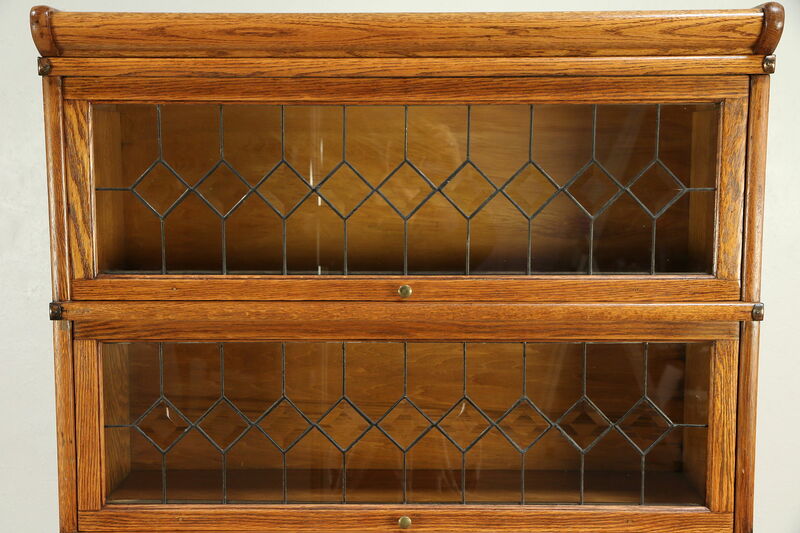 A five section stacking "lawyer's" bookcase is quarter sawn oak with beveled and leaded glass doors. 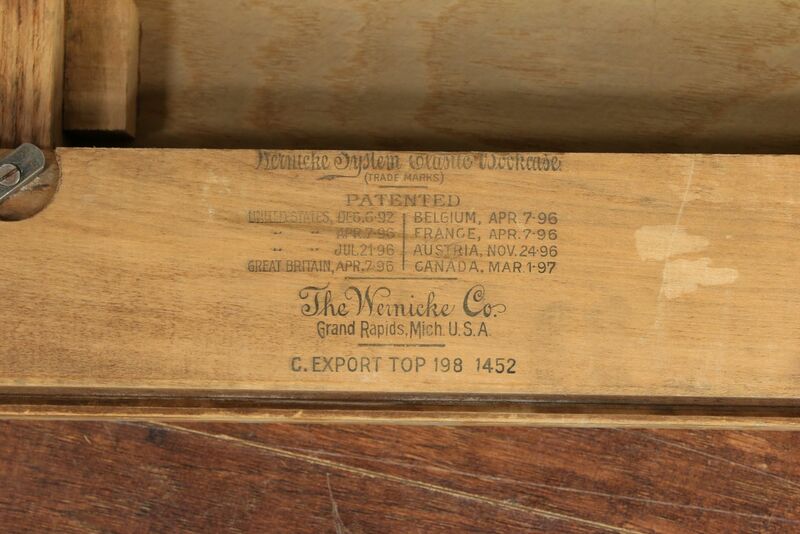 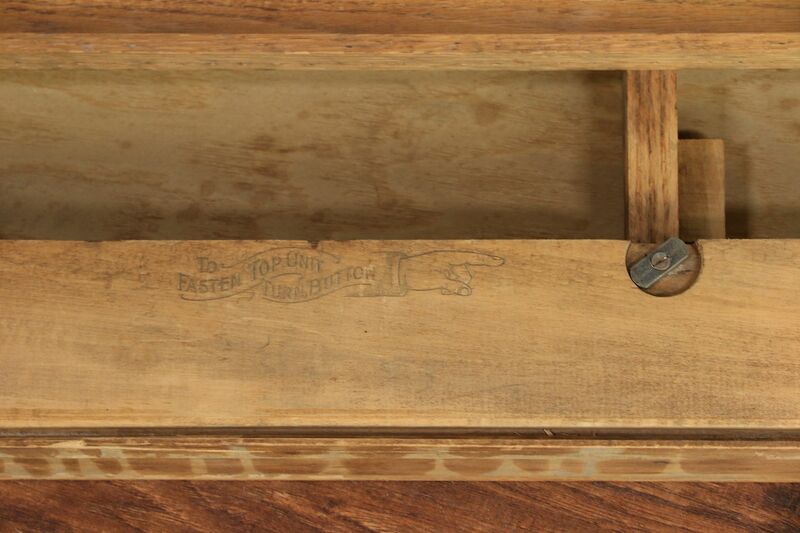 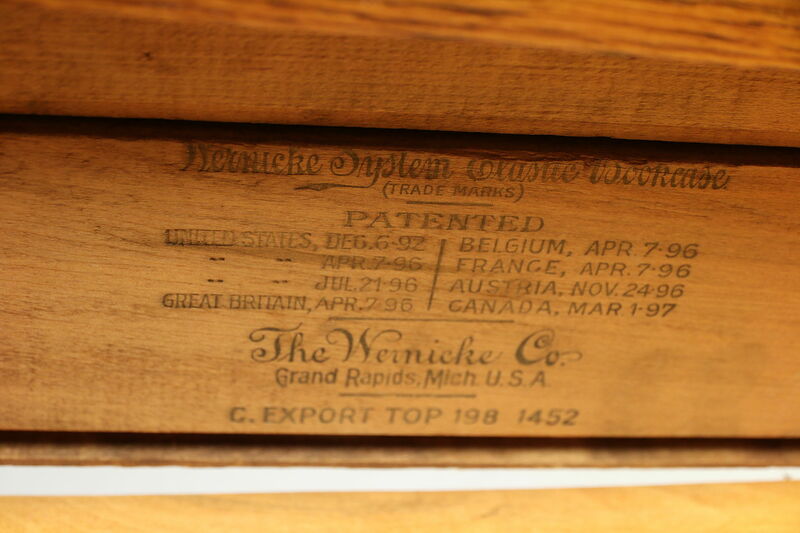 The signature reads "Wernicke" with the latest patent date of 1897. 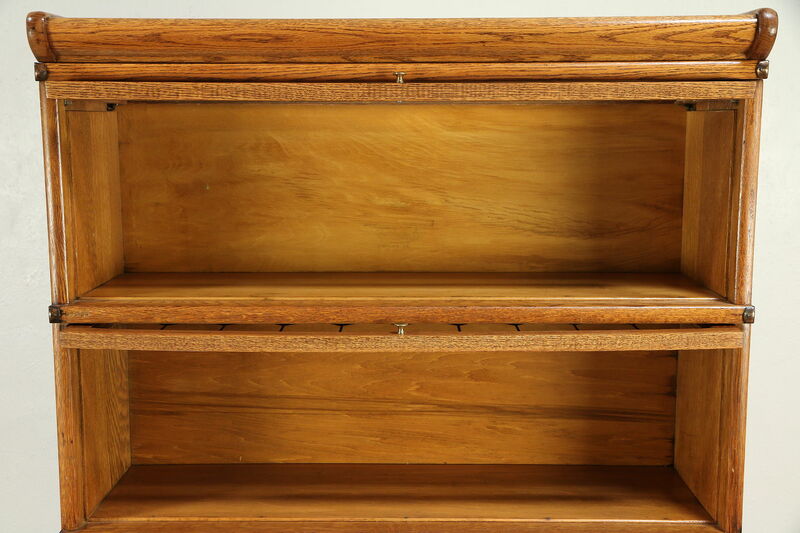 The restored finish is in very good condition with a few small scuffs, see photos. 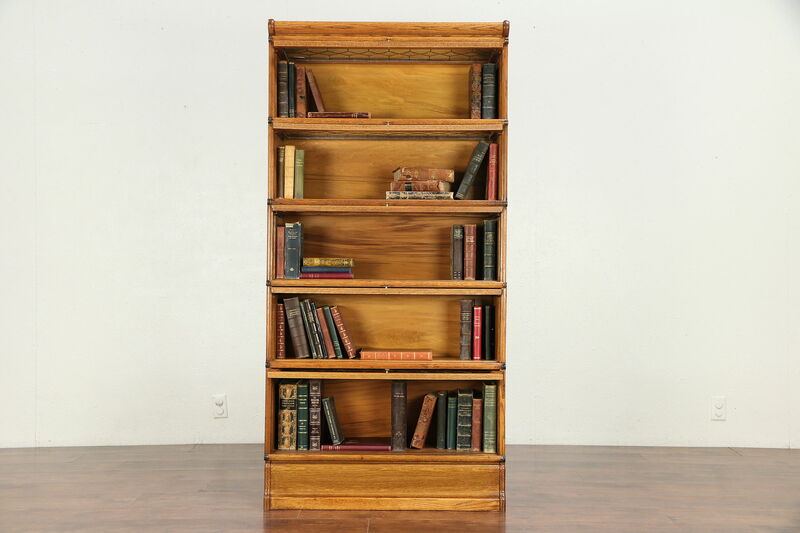 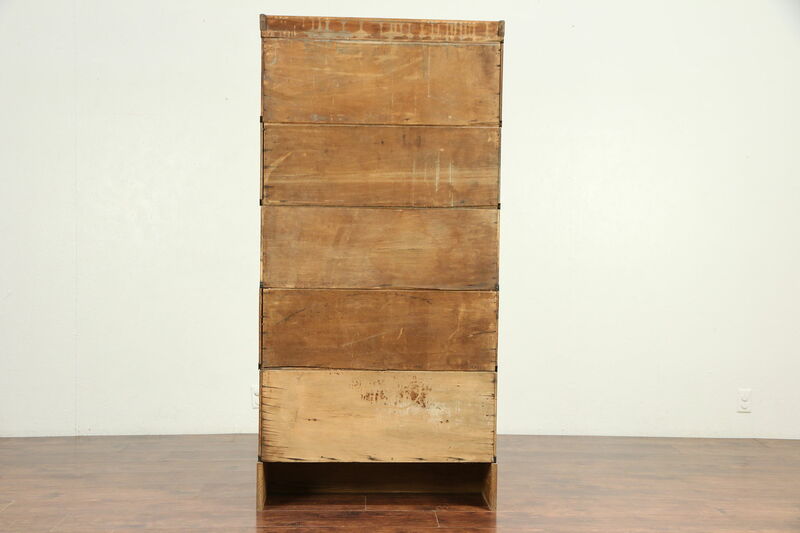 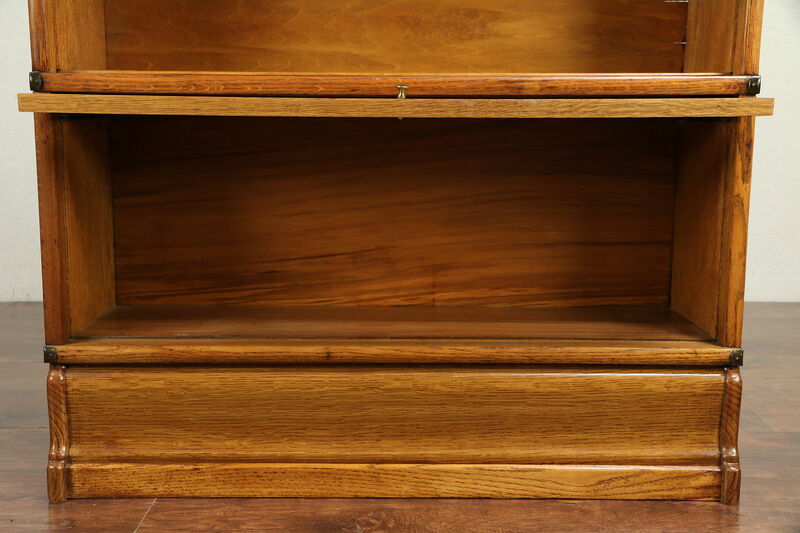 The top and base are also separate stacking modules on this American made antique library or office furniture. Four upper sections fit books up to 8" wide and 9" tall, the bottom up to 11" tall. 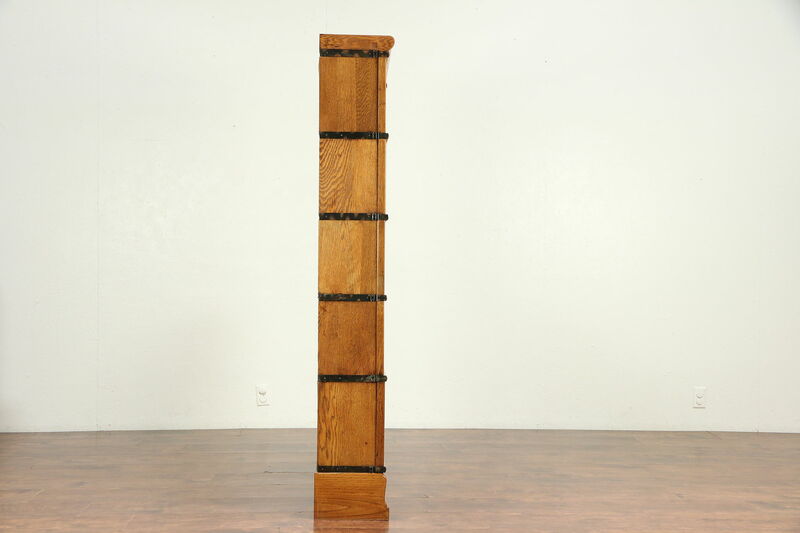 Overall size is 34" wide, 11" deep and 69 1/2" tall.